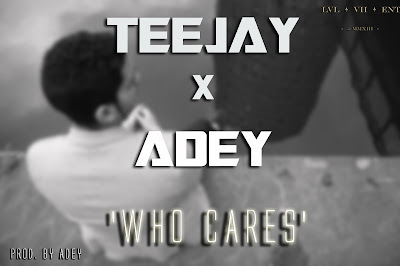 Following his 2012 debut 'Follow Me', upcoming UK based Nigerian singer-songwriter TeeJay returns with his brand new single 'Who Cares' featuring Adey. TeeJay gives us a cool sultry R&B track which was written by him and produced by Adey, who we hear gives us a new verse of bars in this song. With Nigeria and the UK Afrobeats scene already supporting TeeJay, it's only a matter of time before we see him being featured on tracks with established artists and performing on main stages with other big Afrobeat artists.